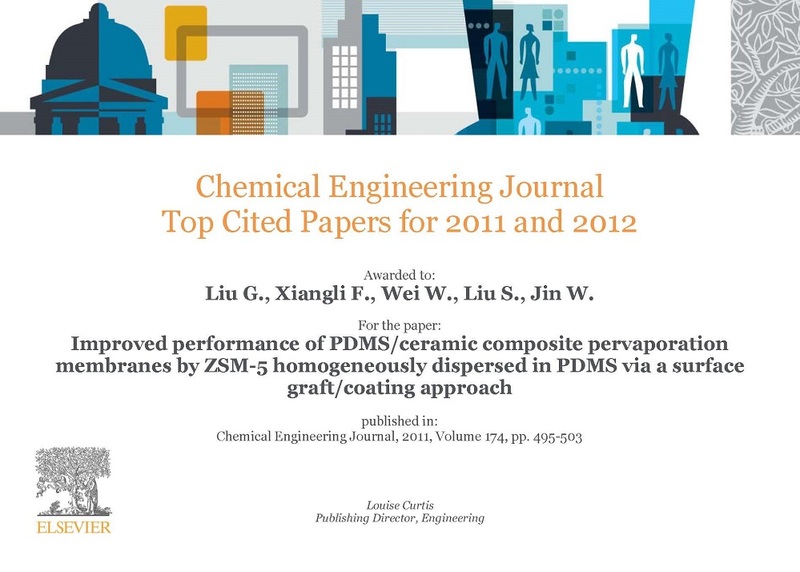 Chemical Engineering Journal Top Cited Papers for 2011 and 2012 was awarded to the authors of Gongping Liu and Wanqin Jin et al. 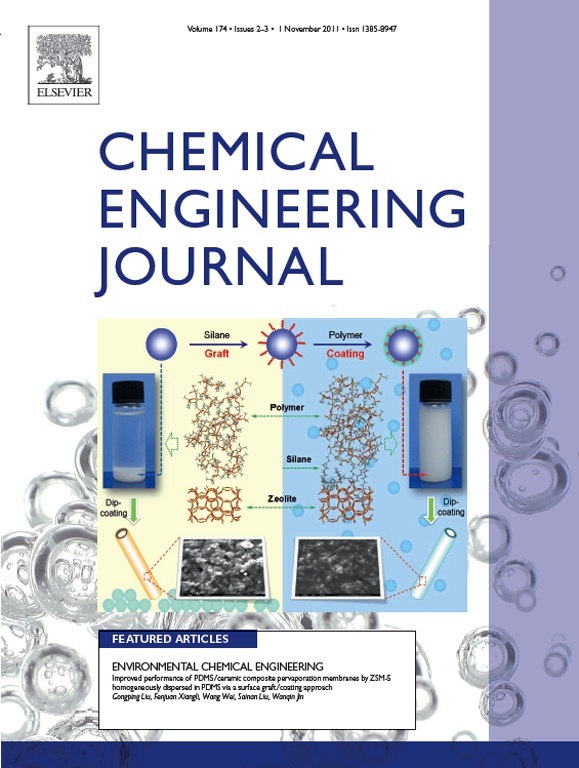 for the paper “Improved performance of PDMS/ceramic composite pervaporation membranes by ZSM-5 homogeneously dispersed in PDMS via a surface graft/coating approach” published in Chemical Engineering Journal, 2011, Volume 174, pp. 495-503 (http://www.sciencedirect.com/science/article/pii/S1385894711006991). The citations of our paper are over 20, which is 7% Top out of the articles published in Chemical Engineering Journal during 2011-2012. This hot paper proposed a surface graft/coating approach for homogeneously dispersing inorganic particles in polymer to fabricate uniform mixed matrix membranes. It is published in Chemical Engineering Journal as a cover paper. Moreover, this work was cited by Chemical Reviews for the review of transport models for mixed matrix membranes (Chem. Rev. 2013, 113, 4980−5028, http://pubs.acs.org/doi/abs/10.1021/cr3003888 ).